Things are about to get difficult real soon for Tom Brady and the Patriots. Albert Breer of Sports Illustrated joined Boston Sports Tonight on Wednesday to discuss whether there has been a decline in Brady this season and what the offseason is going to be like for the Pats and their quarterback. "Diminished Gronk, diminished Edelman... that changes everything," Breer said regarding whether Brady is declining. "You have Gordon in there and Gordon comes out of the lineup, so I think that's affected [Brady's] play to some disagree." On what the Patriots will do about the QB position in the offseason, Breer called the situation "tricky." "I just think the idea that going into the offseason saying 'ok, we're going to get our future' right? Like, that's how teams wind up making mistakes," Breer said. "Because there aren't great quarterbacks in every single draft class." "If you're Brady, don't you look at it and you say to yourself, 'well, I'm going into a contract year, I'm making less than half of what Aaron Rodgers is making ... If I'm going to come back, you might want to make this worth my while.' ... This is going to be a tricky offseason." 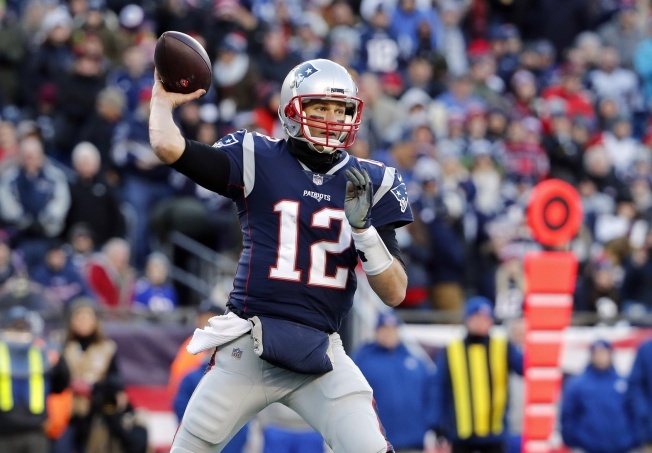 On Wednesday, Brady said he "had goals" to play in 2019 and beyond.